Nurses are the cornerstone of any healthcare provider. In Colorado Springs, nurses are in high demand at local healthcare providers like Penrose-St. Francis Health Services, Genesis Healthcare, and Centura Health. Aspiring nurses have several distinct education pathways for launching their nursing careers. The least time-intensive option for prospective nurses is a certified nursing assistant (CNA) certificate program. Nursing assistants provide basic quality-of-life patient care, like helping them eat, bathe, or use the restroom. A CNA certificate program is brief, typically a few months in length, and timing is flexible to accommodate students’ busy schedule. After passing a state examination, students are officially licensed as nursing assistants. There are 2,170 CNAs employed in Colorado Springs with a median annual salary of $26,130. A second option for prospective nurses is a licensed practical nursing (LPN) certificate program. LPNs are equipped to perform a large range of medical procedures under the supervision of registered nurses (RNs) or physicians. After completing a prelicensure program, students must pass the NCLEX-PN national examination to gain licensure. There are 780 LPNs employed in Colorado Springs with a median annual salary of $43,390. Students seeking the deepest nursing exposure may enroll in either an associate’s or bachelor’s degree program in professional nursing. After completing either prelicensure program, students must pass the NCLEX-RN national examination to gain licensure as a registered nurse. RNs independently provide direct patient care, make critical healthcare decisions, and supervise teams of LPNs and CNAs. 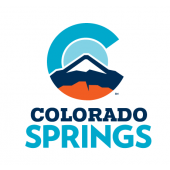 Colorado Springs employs 4,140 RNs with a median annual salary of $64,720. To help the future nurses of Colorado Springs find quality nursing education, we have compiled below a detailed list of nursing schools and programs throughout the metropolitan area.